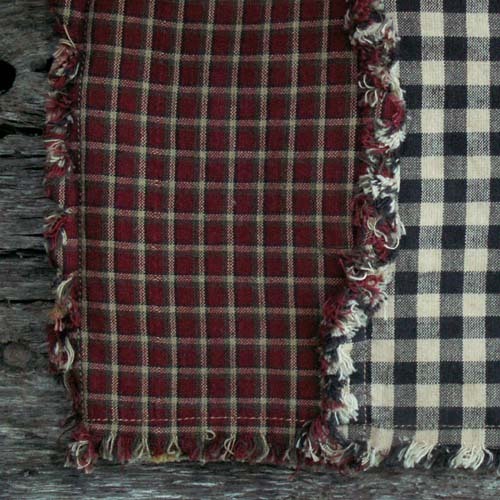 The fabrics used to create this valance are a random mix of our primitive homespun fabrics and americana homespun fabrics. We used 12 different fabrics of various patterns/colors. 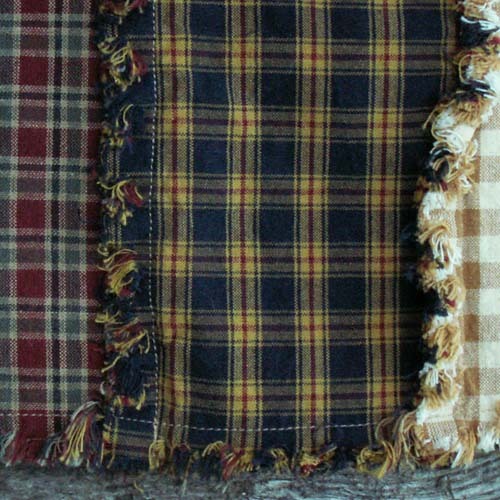 A similar look could also be created using only six different fabrics and repeating them once.